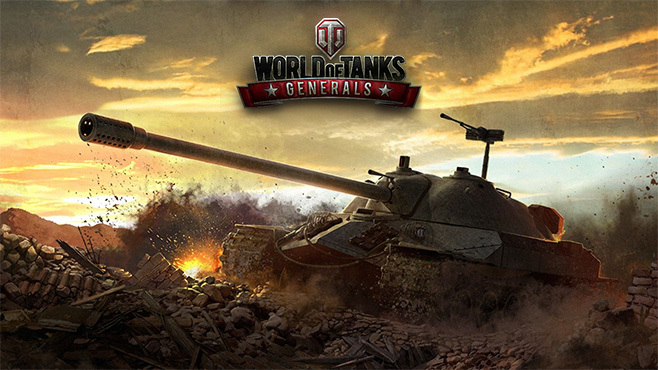 Conquer World of Tanks as a formidable General with this guide. World of Tanks is already a massive entity in the gaming world, and its mobile equivalent World of Tanks Generals is an interesting departure, even if you're more interested in the graphics-rich older brother on PC and consoles. This is another CCG that requires special tips and strategies to do well within, but you're absolutely able to flourish without spending a dime. Check out these tips and tricks to build a phenomenal deck so you'll beat out your opponents with flying colors. This may seem like a no-brainer, but you'll want a general understanding of what sort of game you're playing here before tackling your own deck. This isn't a game for grinding. In fact, you'll need the opposite to be successful. You'll need to sharpen your skills to blow away anyone who tries to cross your path, so you might want to spend more time thinking about your moves rather than assuming you can grind out cards and experience to compensate for being a bad player. It's the honest truth, so if that's not something that sounds like you'll enjoy it, you might want to pick out another CCG to play. You'll outgrow the basic deck a lot quicker than you'd think, so make sure you keep your eyes open for ways to improve it and find new cards to shuffle into your deck as soon as possible. Research as many new cards as you can. Plan out your research progression plan and compensate by replacing some of the duplicate cards in your deck with those you've been able to research. This will ensure you can work toward the cards you've got your eye on a lot sooner. Make sure you complete all the missions available to you. It's easy to skip over the missions and ignore them in favor of other stuff going on in the game, but since you've already got to play all of the factions in World of Tanks Generals already, you should familiarize yourself with which faction uses what tanks and collect the rewards attached to mission completion. This way you'll still learn a little bit about each faction and you'll be better equipped to make executive decisions in-game later on. In the heat of battle at the beginning of a match, use the card you've got with the highest amount of health. This way you can use your tank as, well, a tank and absorb damage from your opponent, which will in turn buy you time. This way you can work on deploying other cards to use in order to knock your opponents out. Don't focus on rushing your enemies with a whole lot of tanks, though. That's a surefire way to end up on the losing side of things. Make sure you use both cards with a high amount of offensive damage as well as a high amount of health. Taking the middle road is always advised here, so if you're ever unsure of what you need to do in order to progress, don't be overbearing.